Shelter House at Heritage Park. In 1914 the wooden school building was moved to this site and used as township hall and shelterhouse. It was replaced with this building. 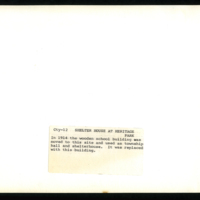 -- label on back of photograph. 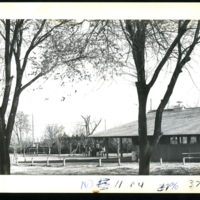 “Shelter House at Heritage Park,” Hesston Public Library, accessed April 25, 2019, https://hesston.digitalsckls.info/item/1440.